Regional developer Country Estates who has schemes in Reading, Newbury, Havant Aldermaston and Chippenham has retained Richardson Commercial to lease or sell purpose built office units at Kingfisher Court Newbury and well as newly developed 2 storey offices in Kingsclere. 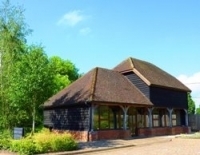 Offices range from 1,250 sq ft in Newbury to 6,500 sq ft in Kingsclere. "We are delighted to win the instruction said Paul Richardson and are looking forward to working with the Country Estates team in aceiving sales and lettings where possible"
Further information is available from Paul Richardson or Paul Enters.